The Portacle™ is a stand alone, downloadable software program that has been called “the most powerful tool for meditation and personal development ever created”. 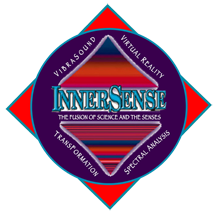 As it’s name implies, it is a PORTAL through to the other side of reality, in that inner-world, where intention creates your reality, and an ORACLE to help you navigate around that inner-space. It can help you learn how expressing your imaginary intentions outwardly makes them real and sets into motion building blocks of reality which combine to create the world you see in and around yourself.